While at the big Los Angeles press junket for Summit Entertainment’s The Twilight Saga: Breaking Dawn – Part 1, I got the opportunity to chat with Wyck Godfrey, producer of all the films in the very popular franchise. Even though they are still hard at work at putting the finishing touches on Part 2, he is now able to step back a bit and reflect on his involvement with the entire experience. 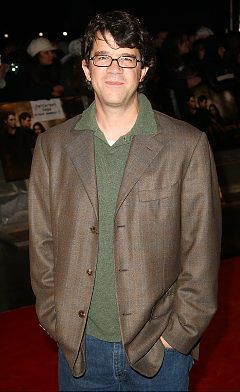 During this exclusive interview with Collider, Wyck Godfrey talked about the great moment of elation and happiness that he had when they finished shooting, what it’s been like to see the same dedicated fans supporting them throughout, what director Bill Condon brought to the franchise and the actors’ performances, the level of secrecy involved with keeping the design of Bella’s wedding dress a secret, that there is a longer honeymoon scene and a Volturi scene for the eventual DVD, the challenges in getting Bella and Edward’s child right, and how Bella being a vampire in Part 2 is going to blow people away. He also talked about his hit ABC television series Revenge, and the next feature films that he’s focusing on – the Biblical epic Goliath, starring Dwayne Johnson, and an adaptation of the Nicholas Sparks novel, Safe Haven. Check out what he had to say after the jump. Collider: The Twilight films haven’t all come out yet, but you’re finished with filming. What’s it like to be able to step back from them a little bit? Is it weird that it’s all finished, as far as the production goes? WYCK GODFREY: When we finished shooting in St. Thomas, in the Virgin Islands, on the very last night with Rob [Pattinson] and Kristen [Stewart] in the water, at their honeymoon, it was one of the greatest moments of elation in my life, in the sense that we were all so happy. A lot of times, you finish a movie and you’re either going, “Oh, thank god, that’s over,” or “Oh, my god, it’s over and I don’t want it to end.” The truth is that we made five movies in three years and three months, from beginning of shooting to end of shooting. I don’t think any series has ever done the movies that quickly. And, we all just felt really fulfilled. I think there was a real sense of, “We did it!,” rather than, “Oh, shoot!” Right now, it doesn’t feel weird because it feel like we’re doing the same thing we did on Twilight and New Moon and Eclipse, where we’re selling the film and trying to open the film. We’ve got another film in post-production, so we’re still working on it. I think that there are no regrets. It’s all just moving forward. Once we’re all done, we move on to something else. It’s been great. The fans have shown such a tremendous support for this entire franchise. Reflecting back on it now, what’s been the most surprising thing about the experiences that you’ve had with the fans? GODFREY: The continuity with the people that you see in different cities, that you’ve been seeing for three years. It’s the same people. They’re down in Baton Rouge, and then they’re up in Vancouver. That’s been amazing. I’ve never experienced anything like that. Even working with big movie stars, there’s not that dedication to the stories. And, it’s all love. There’s not any weirdness to it. There’s no pushiness. They love it and they want to be a part of it, but they don’t want to be too pushy. It’s been a blast. What’s it been like to have a director like Bill Condon responsible for these last two films? How do you feel he elevated not just the series, but the performance of the actors? GODFREY: I think Bill is a very sophisticated, intuitive filmmaker, who really understands character and he really knows how to communicate what a story is about and what the character is going through, to the actors. Personally, I feel that the performances in Breaking Dawn are beyond anything that any of the actors have done, in their careers, let alone just our movies. From watching Bill every day on set, you know where it comes from. It comes from a very direct, clear communication with them. He listens and puts them in a comfortable place, where they can really explore emotions that they haven’t explored before. The reason we wanted to go with someone like Bill is because this was the first part of the story that our actors had not gone through, as people. They’re doing adult things that they haven’t done yet, like getting married, having a baby, and all of these things. You needed somebody who could help them walk through that experience, and Bill was perfect. With all of his movies, he’s gotten Academy Award nomination for almost everybody who acts in them. So, we felt very comfortable, and the actors felt comfortable in his hands. 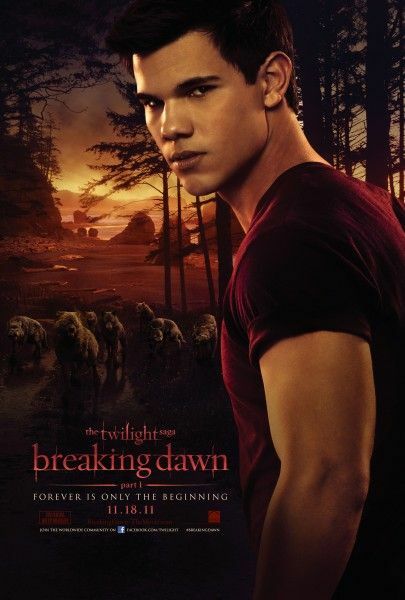 With so many aspects of the story, what were the biggest hurdles that you had to overcome, with Part 1 and Part 2 of Breaking Dawn? GODFREY: The biggest hurdles were just the execution of the visuals and the action, and the complication of trying to shoot two movies as one, where you have an actress who’s in almost every scene, but sometimes she has to be in vampire make-up and sometimes she has to be in Bella human make-up, and trying to get it all done in the time we had allotted. We had this release date that we had to hit, so Movie 1 was always going to be a challenge to make sure that we had shot everything that we needed. We weren’t going to have time to reshoot anything with the first one because we had to get the post-production done. So, the visual effects, shooting on giant stages with green screen everywhere when you’re supposed to be in a snowy field, and pulling off action that audiences haven’t seen before is always a challenge. You need to show people things they haven’t seen before. Fortunately, we stayed an extra two weeks and shot a lot more footage, and I think we got great stuff. Obviously, the wedding and the wedding dress are a significant part of the first Breaking Dawn film. How much time was spent on creating the look of all of that, and how difficult was it to keep anyone from seeing it? GODFREY: The secrecy and the privacy of all of that stuff was very difficult. As you know, there was footage and pictures leaked. There were pictures taken from fittings on Twilight that, all of a sudden, leaked. We live in a time when people feel the need to share that stuff. Sometimes it’s not out of malice. Sometimes it’s just out of being excited and wanting to show people, “I’ve got something you don’t have.” But, the wedding dress was one that we knew we could not let anyone see. We went through a process to find the perfect designer and the designs. Stephenie [Meyer] had input, and Bill [Condon] had input, and (costume designer) Michael Wilkinson had input, and Kristen [Stewart] had input. That was complicated ‘cause everyone wants that to be the greatest wedding dress, of all time. I, personally, loved it. I’m sure everyone will have their own opinion. It feels, to me at least, that it’s got this contemporary, cool, almost Japanese feeling to it. It’s not just a staid wedding dress. Were there many scenes that got cut out, that will end up on the DVD? GODFREY: The DVD may have a longer honeymoon scene. It might have a longer first time scene. There are some other scenes that we’ll probably add, as you always do. When you cut a film, certain scenes fall away and don’t fit into the shape of the movie. There’s a really cool scene with the Volturi that we are going to have for the DVD. The good news about DVDs is that you shoot all this stuff and sometimes you go, “Oh, my gosh, I can’t believe that can’t be in the movie,” just ‘cause it doesn’t fit with the overall story, but you’ve always got that place to put it. What was it that ultimately made the final decision not to do either of these films in 3D? Do you know what you’re going to be focusing on next? GODFREY: Right now, we have a TV show on ABC called Revenge, which we’re having a blast working on. That’s taking up a ton of time, but we’re having a blast doing it. I’ve never done a television series, so my partner Marty [Bowen] and I are spending a lot of time on that. And, we have two movies next year. We have another Nicholas Sparks movie. We did Dear John, and we’re doing Safe Haven with Lasse Hallström again. And then, we’re doing a big Biblical epic film called Goliath, which is a big action retelling of David and Goliath, that Dwayne Johnson is hopefully going to be playing Goliath in. That will be a blast. Wasn’t Taylor Lautner going to play David in that? Since it’s a story that people are familiar with, what are you going to be doing with the David and Goliath story? GODFREY: It’s interesting. You say that, but people don’t really think about who Goliath was, at all, where he came from, and why he was driven to do what he did and fight for the Philistines. The other side of it is that everyone thinks of King David, but nobody knows David when he was a lover of wine, women and song. As an 18-year-old, he was a little bit discontented, as many 18-year-olds, about the way the world is. He’s stuck being a shepherd for someone else’s sheep, and doesn’t know of the prophecy yet. There’s all of that stuff that humanizes them. We did a film called Nativity that we really love because we just tried to treat Mary and Joseph as real people. It was about, “What would a 15-year-old girl and an 18-year-old guy be going through, if this happened?” It’s the same thing with David and Goliath. The writers have written it as a relentless pursuit of Goliath. It’s almost like Terminator going after Sarah Connor. Literally, this guy will not stop until he kills him because they want to show that their God is greater than the Jewish God. I can’t remember, in movie history, anybody really doing the David and Goliath story justice. What is it about Dwayne Johnson that makes him your Goliath? GODFREY: For me, honestly, his physicality is unmatched. Our Goliath is going to be 7 ½ feet tall, so it’s nice to find an actor who’s almost there. He’s like 6 foot 5 and ripped. If you saw Fast Five, when you put him beside Vin Diesel, Vin looks like a midget. It’s incredible, how physically strong he is. What Dwayne is excited about is playing a dark character. He’s never really done the villain. Scott Derrickson, who’s directing it, has a whole design that he’s going to do with the scars and tattoos for someone who has battled his whole life, that will hopefully make it seem really terrifying. The hard part is making sure that he can be menacing. Has the success of Revenge inspired you to take on more television? GODFREY: We are, definitely. This was our first foray into television. One of the great things about the Twilight series and Dear John is that it’s really given us a platform, as a company, to try to really explore female-driven entertainment. A show like Revenge really came from us wanting to do a show like Dallas and Dynasty, set in the Hamptons, about the haves and the have nots. We pitched it to ABC and they were very supportive, and it just moved so quickly. All of a sudden, it was on the air. The pace and the speed with which television operates is really exhilarating. You get to tell a lot of stories, very quickly. It’s scary because sometimes you want to make sure the bar is high for the storytelling. Hopefully, we’re going to keep working with ABC on many, many more shows. Nighttime soap operas used to be so popular, but they’d been gone for quite awhile before Revenge came on the air. GODFREY: Yeah, people went to reality television, I think. The lazy way to do it is just to watch Real Housewives of Beverly Hills. To challenge people and bring them into fictional characters and stories has been fun, and I think there’s room to explore that. And, Madeline Stowe is so fantastically devilish on the series. GODFREY: She’s great. I was working at New Line when we made Blink with her, years and years ago. When we were casting Revenge, it was just that desire to get somebody that people would have that reaction of, “Oh, my god, I love her! Where has she been?” We feel like she’s really been fantastic. Isn’t this Nicholas Sparks book (Safe Haven) different from his usual work? GODFREY: It is. There’s a thriller element and a supernatural element. What we really responded to is that it’s a love story, but about people that are damaged and are on their second go-around. It plays a little bit older, but it’s just as powerful to meet two people who feel like they’ve been damaged and hurt in love before, and yet can’t help but take that second chance. And from her past, she’s got some baggage that’s following. Has that been cast yet? GODFREY: It hasn’t yet. We’re just finishing up the script. We actually brought back in Jamie Linden, who wrote and directed Ten Year for us, which just got picked up out of Toronto, and also wrote Dear John. So, he’s working with Lasse [Halleström] right now on the script, to tweak it before we take it out to actors. Are you looking to cast recognizable actors in that, or are you also going to look at unknowns? GODFREY: I’m sure we’ll find people that are recognizable. But, one of the great things about a lot of the Nicholas Sparks movies is that you get to discover people. Because she’ll be at least in her upper-20’s or early 30’s, it’s going to be somebody that we’ve all seen before. Do you equally enjoy adapting from source material and doing totally original projects? GODFREY: We love doing book adaptations. Our whole company really mines books and short stories. We don’t do a lot of remakes, per se, because that is less interesting, but we really enjoy doing those stories. You read something as a book and you fall in love with it and, as a filmmaker, I want to show it to people on a big screen and let them experience it, in a visual way. But, it’s also a blast to, all of a sudden, have an idea and, from a very basic idea, watch it turn into something that’s a movie, two years later. They’re both fun. Have you always wanted to be a storyteller? GODFREY: As a kid, I was always the jokester. I was telling stories at dinner and trying to make people laugh. My two interests were really movies and sports. When I first got out of college, I wanted to go into sports, but I wanted to be (sportscaster) Chris Berman. I wanted to be the one telling people, “You missed a great game today! Let me tell you what happened.” I guess I’ve always just been naturally inclined to tell stories. But, I also feel lucky that I got my first job at New Line in New York kind of accidentally. I’ve been blessed in the ways that my career has bounced around. 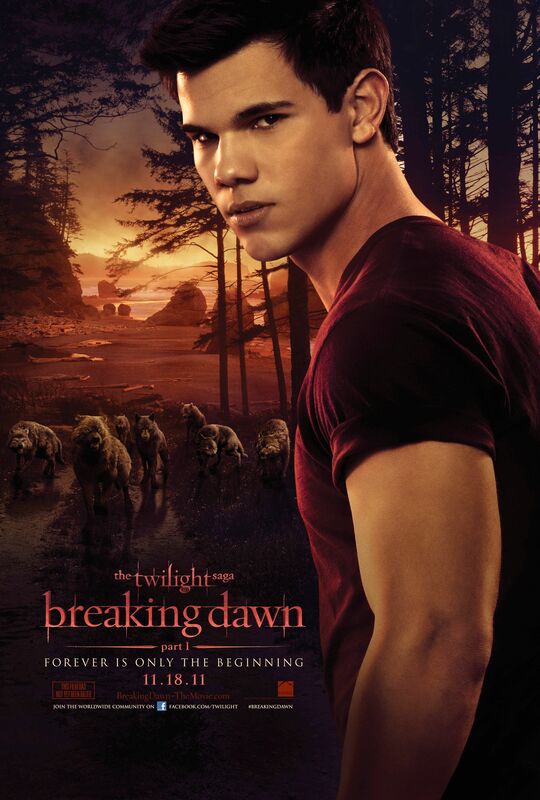 What would you say fans can look forward to, with Part 2 of Breaking Dawn? GODFREY: To me, the second part is all about the new vampires. Bella becomes a vampire. That’s what we’ve all been waiting for. That aspect of the second film is going to blow people away. Kristen [Stewart] so owns a new character, when she becomes this other creature. And then, there are all the new, exotic vampires that Stephenie Meyer created, that you’ve always wanted to see what they look like. What does Alistair look like? What does Garrett look like? That part of it was a blast. I think people will love it. How challenging was it to add so many new characters and service them while not taking too much away from the story itself? GODFREY: It was really challenging. You feel like you can make separate movies about each one of these characters, but you have to stay focused on the story, which was that once Renesmee exists, the Volturi are coming and they’re going to wipe them out. They service the story by becoming witnesses and protectors of the Cullens, in Forks, Washington. It’s really about protecting Bella and Renesmee and Edward. What were the biggest challenges, in getting the child right? GODFREY: Just the casting. We got very, very fortunate with Mackenzie Foy. We found a girl that we just thought was otherworldly, amazing and focused. The extraordinary growth of Renesmee, through the second movie, is a visual effects challenge. You have to get all these different body doubles and shoot them in a way that we can then graft her face on, and we had to come up with a visual effects design that allows her to age from this age to her current age. And, we’re going to be working on that for the next year. It’s why the movie is not coming out for another year. We have a lot of work to do. Do you know when you’ll be finished with the final cut for Part 2? Are you thinking ahead to doing a box set of all the films, now that you’re finished with the shooting of them? GODFREY: Yeah, the home video department at Summit is thinking about what comes next. Obviously, we have to focus first on each of the movies, and then I’m sure there will be some great fan box set, at some point. Does that allow you an opportunity to go back and re-evaluate what you did with the previous DVD releases of the films? GODFREY: I honestly haven’t thought about it, but it’s a good idea. You’re probably right. We should look at it all and figure out what we can bring back, or look at again. I’m sure there might be some exploration of new stuff. What’s the thing that most impresses you about these two Breaking Dawn films and what it took to get them made? GODFREY: I think we were petrified about splitting the location and doing all of the interiors of Movie 1 and 2 first, in Baton Rouge, and then going up to Vancouver at a time when the weather could be good or bad, and having to do all of the exteriors for Movie 1 and 2. In a normal production, you would have cover and be able to go on stage, if it was raining, but we didn’t have that. We were just exposed to the elements. And, we had to start shooting in Baton Rouge, while the Cullen house was being built in Vancouver, and were not able to be there to watch and make sure. In a sense, we showed up going, “Oh, thank god, you guys built it right.” It was challenging. The honeymoon itself, and going to Brazil for that, had a lot of challenges. We had a cyclone come through while we were shooting, and had to spend the night on the set. We only had four days to shoot everything, so when we got into the editing room, we were like, “God, I hope we got it all. I hope we captured what the honeymoon should be for people.” It was a relief that, even with all the chaos, we got it all. Even though you’ve changed directors with each film, screenwriter Melissa Rosenberg and author/producer Stephenie Meyer have been there throughout. How invaluable was that, to have them as the constant in all the films? GODFREY: You can’t put it into words. The consistency of Melissa’s storytelling, and her ability to synthesize the books and pull out the interior stuff from the books that’s happening within characters, and make that dramatic and visual, has been something we’ve all been blessed by. She and Stephenie, and their collaboration, has been incredibly important to the continuity of the series. We also have been blessed with great actors and locations that everyone grew to love. So, in a weird way, choosing different directors was the way to shake it up and keep it fresh for people. To bring in different directors who had a specific point of view about each book was exciting because we got to work with a new director for every movie, even though we were on the same series.